Self-described Democrat Socialist Rep. Alexandria Ocasio-Cortez fought hard to make sure Amazon would not build a new headquarters in New York. She celebrated after the company decided to pull out. A couple of days ago, a billboard went up in Times Square lambasting the freshman lawmaker for her actions. She figured she had to respond. Few things effectively communicate the power we’ve built in fighting dark money & anti-worker policies like billionaire-funded groups blowing tons of cash on wack billboards (this one is funded by the Mercers). The people behind the billboard saw AOC’s response. 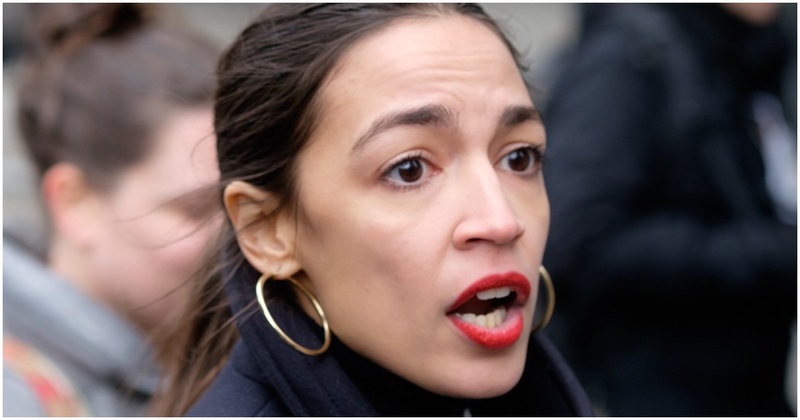 New York City Democrat Mayor Bill de Blasio had to correct Ocasio-Cortez for incorrectly thinking that “the $3 billion in tax breaks that were going to go to Amazon still existed after Amazon pulled out of NYC,” The Daily Wire reported. Because she was born in the USA? Because she was born into wealth? Nope. It’s ecause she was born straight. While attacking former Starbucks CEO Howard Schultz, who may run as an Independent for president in 2020, AOC wound up with egg all over her face. The problem is that Ocasio-Cortez clearly has no clue about Howard’s background. -He experienced poverty at an early age. When Schultz was 7 years old, his father broke his ankle while working as a truck driver picking up and delivering diapers. At the time, his father had no health insurance or worker’s compensation, and the family was left with no income. Schultz isn’t exactly a conservative, but he has been ripping AOC and Senator Elizabeth Warren like he’s getting paid to do it.